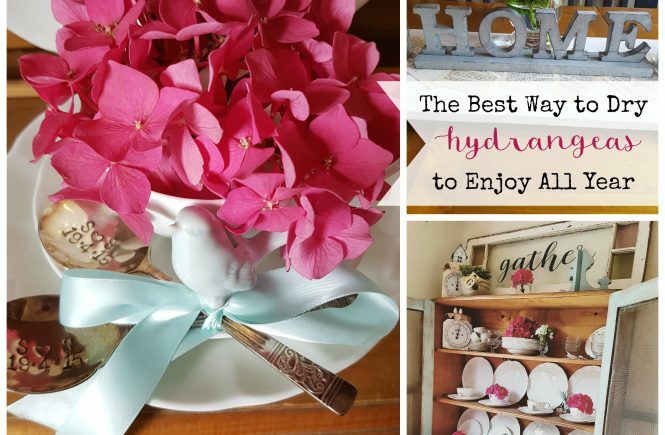 For as long as I can remember I have always been drawn to hydrangeas! I think it has stemmed from my sweet Granny! She had the most amazing Hydrangea bushes. With every possible colour, you could imagine! The flower heads on them would be ginormous and it was always my job to water them when visiting. 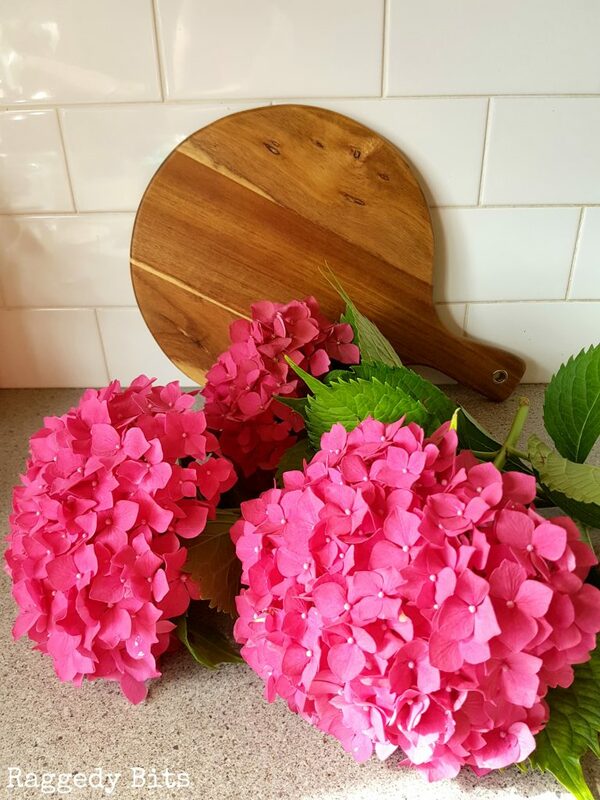 We have been so blessed with hydrangeas in our garden this year and the bush is getting so big that I decided to start drying some. 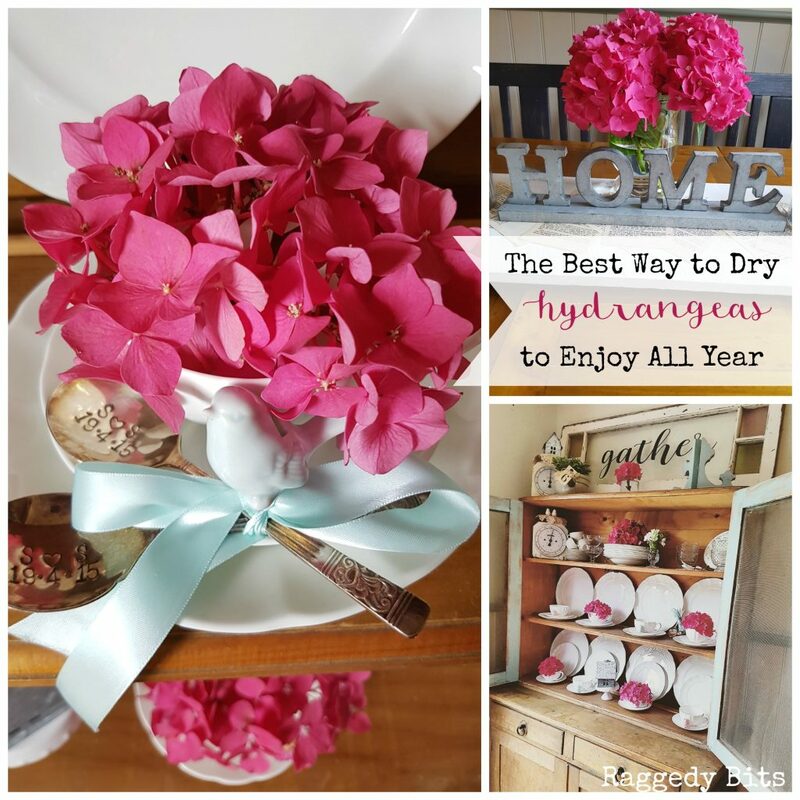 So today I’m sharing the Best Way to Dry Hydrangeas to Enjoy all Year Round using the tips my Granny taught. Step 1 – Cut the hydrangeas from your bush always at an angle. Remove all the leaves. 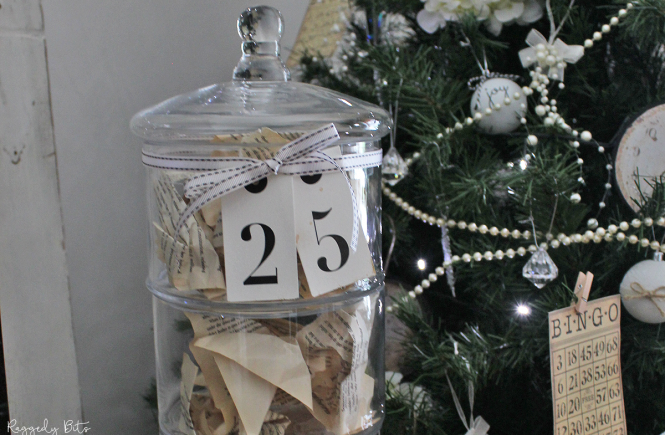 Step 2 – Fill up your mason jars/ vases with about 11cm of water. 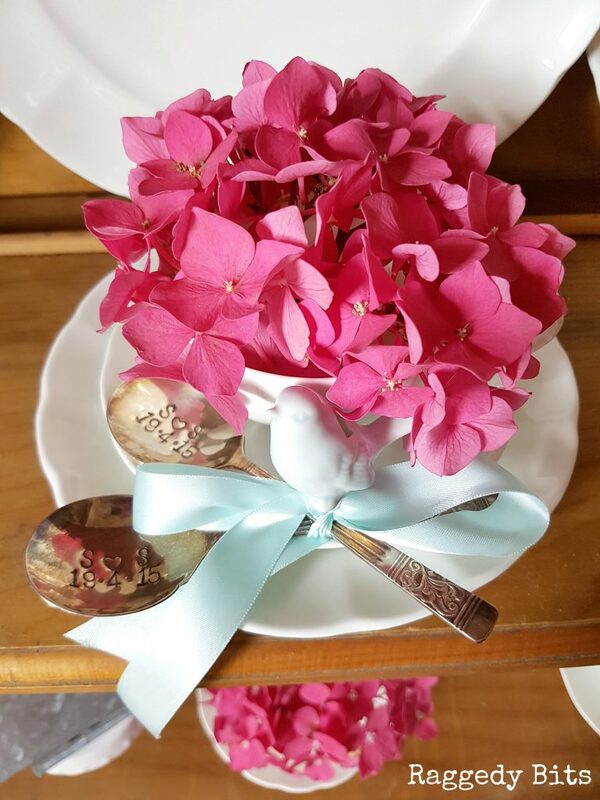 Cut the stems to various lengths so that when the flowers are placed in the water the heads of the hydrangeas have some space around them. Pending on the size you can usually get away with about 3 large stems per jar and 6 smaller ones. Step 3 – If your wanting smaller heads cut them down to size making sure that there is a long enough stem to reach water. 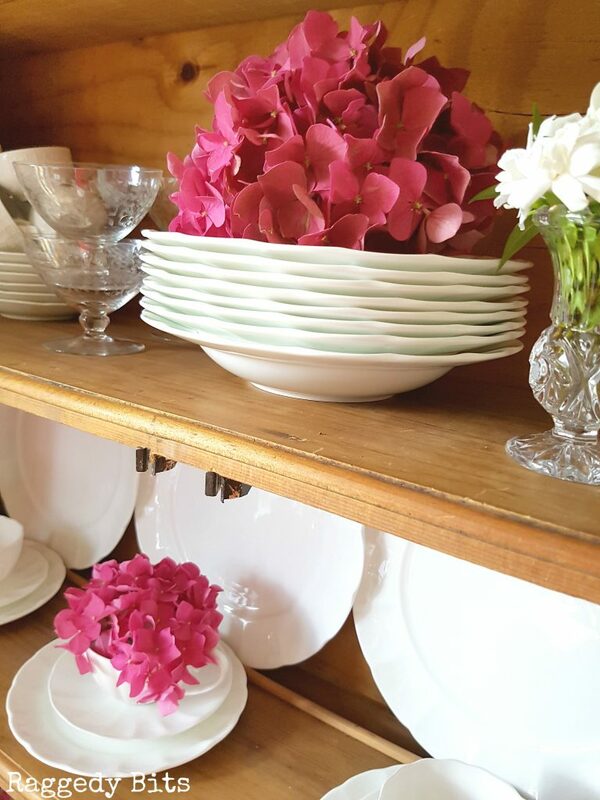 Step 4 – Make sure that the hydrangeas are kept out of direct sunlight and leave them for a week. 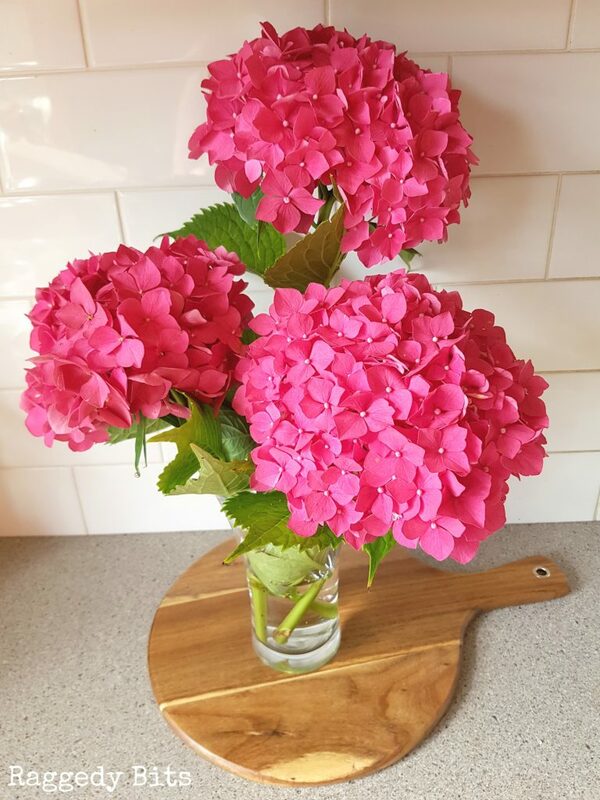 If the hydrangeas aren’t dry after that time and the water has evaporated add a little more water and leave them for another week. The colours will dull quiet a bit and that’s to be expected. 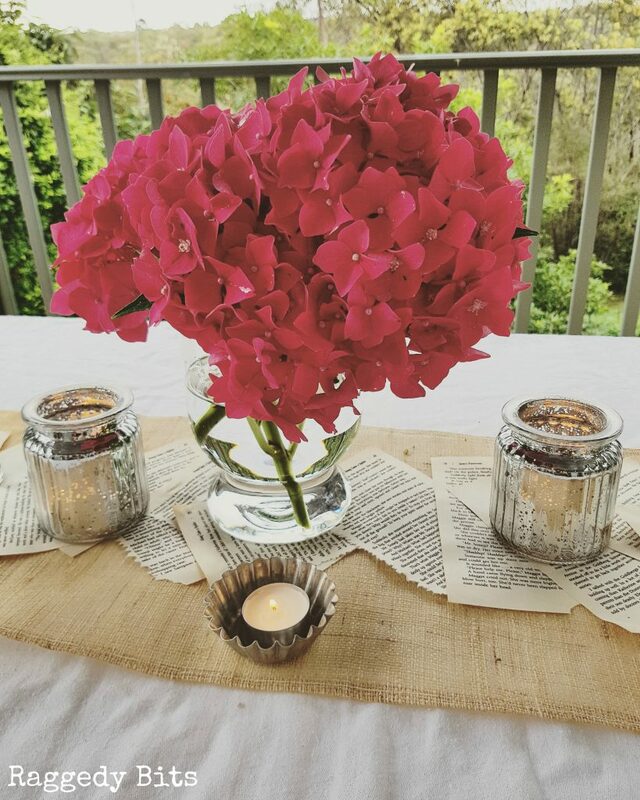 Try to keep the dried hydrangeas out of direct sunlight so that they last longer. And there you have some beautiful dried hydrangeas to enjoy all year round. 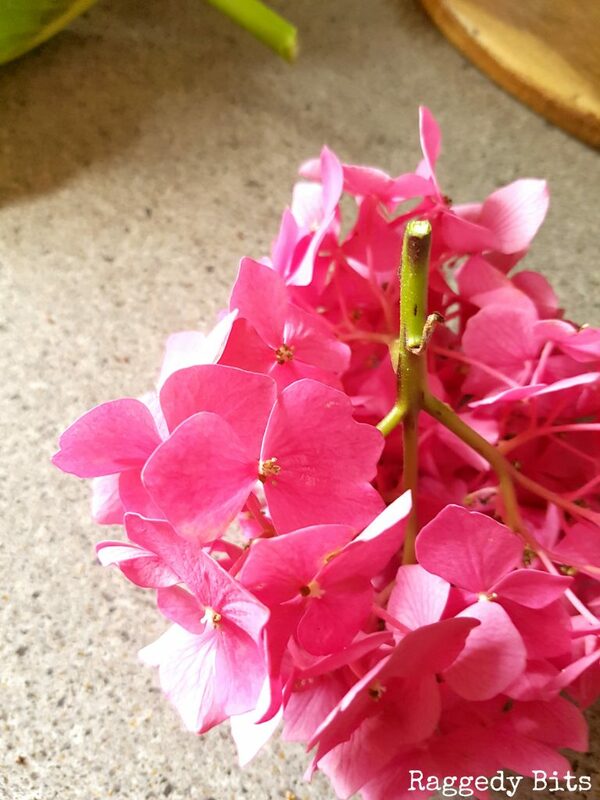 This year I am going to try and make a wreath from some of our dried hydrangeas! I love hydrangeas but growing them seems to elude me. Your’s are so pretty and I love how you display them in your beautiful cups! 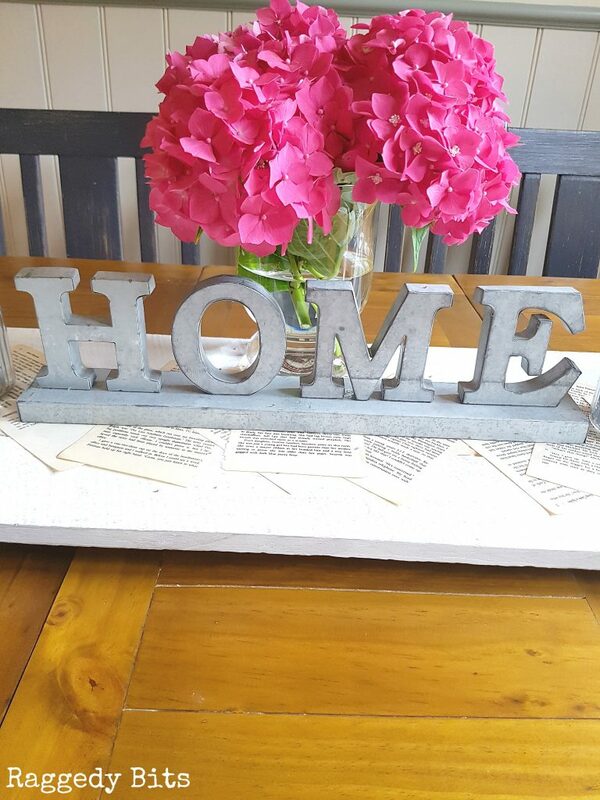 I adore hydrangeas and have planted them once in my garden, but oh my was that a failure! 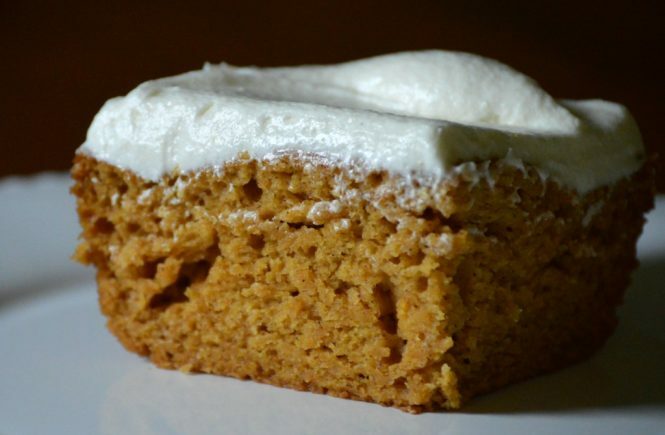 Unfortunately they didn’t last long enough to get some to dry and keep… but I like the idea of store bought once and then enjoying them forever! Thanks for the tip Sam! 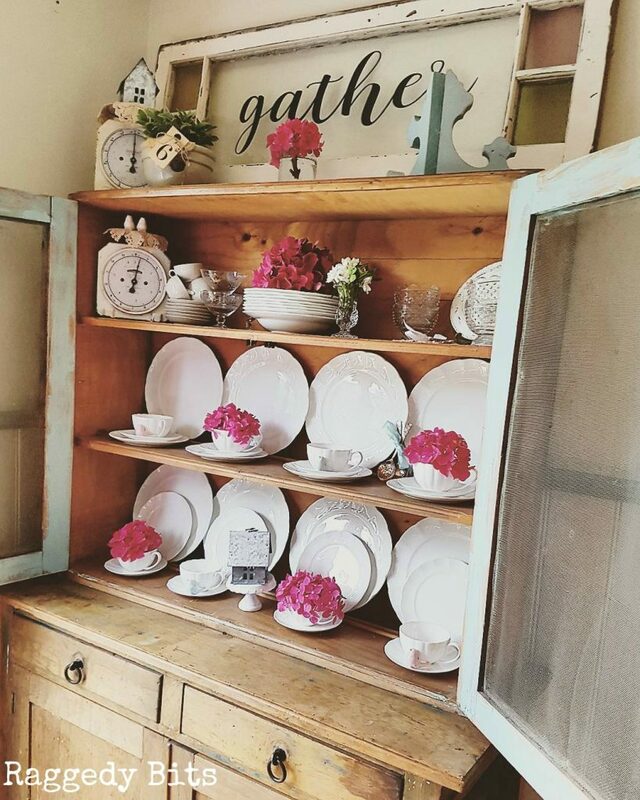 Yours look absolutely lovely in your cabinet!! Hahaha! Yes by that time it will be our winter and I will be able to enjoy your hydrangeas Kellie! These hydrangeas are beautiful. I love them on your table. You have gorgeous hydrangeas, Sam. They’ll make a beautiful wreath! I’m still enjoying mine immensely. ps. Please share at the party! ???? Such gorgeous hydrangeas! I also, love your new blog post format! Great job, Sam! You’re so clever and talented!!! Thank you so much, Janine for your sweet and kind words! I’m pretty happy how it has all turned out! Still a lot of work to do but I will get there! 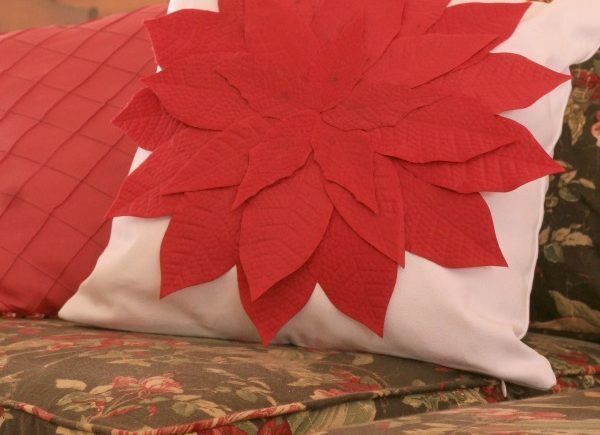 Hi Sam: My grandmother had an absolutely massive hydrandgea in her front yard. I was stunning with all the blossoms. She would dry them and have them in the house for the winter, so pretty. I live too far north to get a hydrangea to grow here. Your post brought some lovely memories. Thank you for sharing. Aren’t they just the most beautiful flower Amber! it sure is so lovely to also be able to enjoy them all year round! They are my favorite flower that’s for sure. I love the color and your arrangement is perfection! This is one of my favorite flowers, I am so looking forward to seeing mine in bloom in a few months. Thanks for the tips, I love to bring them inside too. Pingback: I am Pinnable - #27 - Of Faeries & Fauna Craft Co.